Informed Choice WA has been researching the subject of school exclusions of non-vaccinated children during times of outbreak. Exclusions can have negative emotional, mental, and academic impacts on the excluded child. Adequate support is critical at times of exclusion, and the law must be followed. We encourage parents whose school districts do not yet have adequate support in place to bring a copy of Spokane’s Central Valley School District’s Student Support Protocols For Exclusion of Non-vaccinated Students to their school boards, and request they adopt a similar protocol. It is unclear why exclusions are happening more frequently, and for longer duration, especially for infections such pertussis (whooping cough) and mumps which are occurring in fully vaccinated children, and chicken pox, also occurring in vaccinated as well as non-vaccinated children. Many countries, such as England, don’t vaccinate for chicken pox because it is a mild infection and vaccination programs increase shingles rates. Here are a few things we have learned. We encourage parents to research their rights and speak with their local Health Officer to ensure proper procedure happens. There is no law (RCW) or rule (WAC) in WA that creates a special type of involuntary quarantine of exempt students during an outbreak called an “exclusion”, with unlimited time frames and no right for the quarantined/excluded to petition for relief. Using an exemption is not an agreement to accept quarantine from school during an outbreak. The right to be exempt from vaccination is absolute and unconditional if the exemption paperwork is properly completed. The check box on the exemption form, (I understand that my child may be excluded during an outbreak), does not constitute an agreement to exclude during an outbreak, or the forfeiture of the due process rights protecting citizens from illegal detentions. An involuntary school quarantine/exclusion must conform to the definitions, requirements and limitations of WAC 246-100-040. A Health Officer may only impose a maximum 10-day involuntary quarantine, and the order must notify the quarantined party of their right to petition for relief. A) a 10-day emergency quarantine, and then extend through the court, to a maximum of 30 days, both actions subject to petition for relief by the quarantined. or Obtain an initial 21-day court order, subject to petition for relief by the quarantined. The current WA DOH policy of a Health Officer-generated 21-day involuntary school quarantine with a rolling deadline without the right to petition for relief is an illegal detention under WA law. It violates the time frames and right to petition for relief under 246-100. 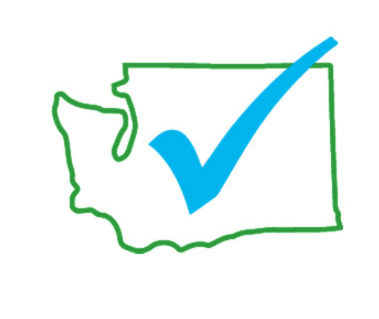 The only legal manner for the current WA DOH school quarantine/exclusion policy of an initial 21-day period with a rolling deadline, unlimited open-ended timeframe is by voluntary request for quarantine. RCW 70.05.070 Local health officer—Powers and duties. WAC 246-100-040 Procedures for isolation or quarantine.